On the 100th anniversary, company veterans from machinist to CEO talk about key moments in their time at Boeing. Mention the name “Boeing,” and the first image that invariably comes to mind is of a streamlined aircraft soaring overhead to some far-off destination. Yet behind each airplane is a team of people — currently 165,000 in 65 countries. Their collective efforts have kept Boeing at the forefront of aviation for 100 years. 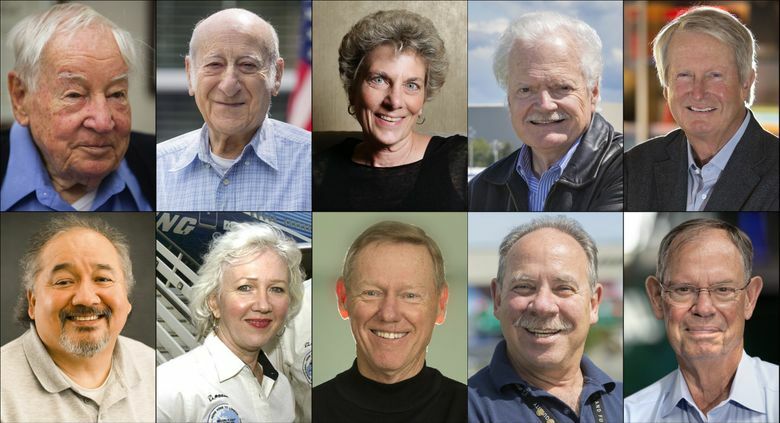 In these three segments, ten longtime Boeing people — from machinists to engineering legends to CEOs — talk about what working at the company has meant to them and how Boeing has evolved during their careers. John Lopez Jr., 59, started at the bottom as a “manufacturer’s helper” and worked his way up. He’s now a journeyman machinist, leader of a team in the Auburn fabrication plant called upon to do specialized, one-off work. He’s also very active in the union as president of the Local C unit of the International Association of Machinists (IAM), District 751. 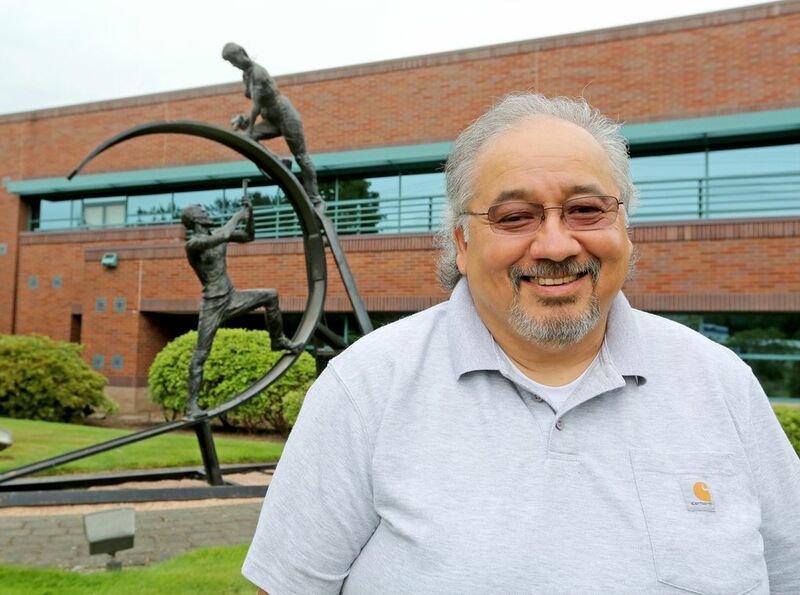 Just 20 years old when he started work in the wing-par shop in Auburn, Lopez noticed something odd. “The east wall of the building had all these pinholes in it. You could see sunlight through the walls,” he recalled. Asking about this, he was told the holes were made when metal pieces of the cutting equipment broke and flew off. It taught him the importance of working safely, something he followed up later when he became a workplace-safety trainer for the Machinists. Lopez has been through five IAM strikes, the first just months after he joined Boeing. All were financially stressful. Yet on bitterly cold nights manning his first picket lines, he said, union veterans schooled him in how labor history is written from one contract to the next. He described working in the spar shop operating the machine that did the final milling and cutouts on the 110-foot-long wing spar of the 747 jumbo jet. When the huge spar was hoisted into the air and spun around for transfer to his milling area, “it looked like the St. Louis Gateway Arch,” said Lopez. Now Lopez is such a teacher. And following in his footsteps, his middle son, eight years at Boeing, is a team leader and a union steward, too. In 1992, when Carolyn Corvi was a vice president in Boeing’s propulsion division, she toured the auto plant in Fremont, Calif., where Toyota and General Motors were running the innovative NUMMI joint venture. In time, it changed Boeing, too. Corvi returned as an evangelist for what she’d witnessed: a synchronized manufacturing dance that produced a new car every 59 seconds — with everyone in the factory focused on shaving one second off that time. After attending a workshop for Boeing executives run by former Toyota consultants in Japan, Corvi — who became head of manufacturing for the 737/757 programs in Renton and later for all Boeing commercial airplane programs — set about making Boeing’s 737 factory the most productive airplane final-assembly plant in the world. Corvi’s embrace of the Toyota production system and the very term “lean manufacturing” initially conjured fears of eliminating jobs. But she insisted at her regular lunches with union officials that her goal was to increase capacity so that she could bring in more work. That’s what happened. Even as the production rate climbed, Corvi moved the executives, administrative staff and engineers into offices overlooking the assembly areas inside the factory, reducing the site to two-thirds of its previous size. Along the way, she turned Boeing’s mechanics into lean-manufacturing experts. She was blindsided in late 2002 when Boeing applied to the city of Renton for land-use modifications, outlining potential scenarios that included abandoning the site entirely as early as 2015. Boeing’s extensive investment in Renton since then, including building a new assembly line for the 737 MAX, has borne out Corvi’s assurances. In the 20 years since she began implementing lean-manufacturing cells and a moving assembly line, 737 production has precisely doubled to an unprecedented 42 jets per month — with plans to go to 52 jets per month in a couple of years. 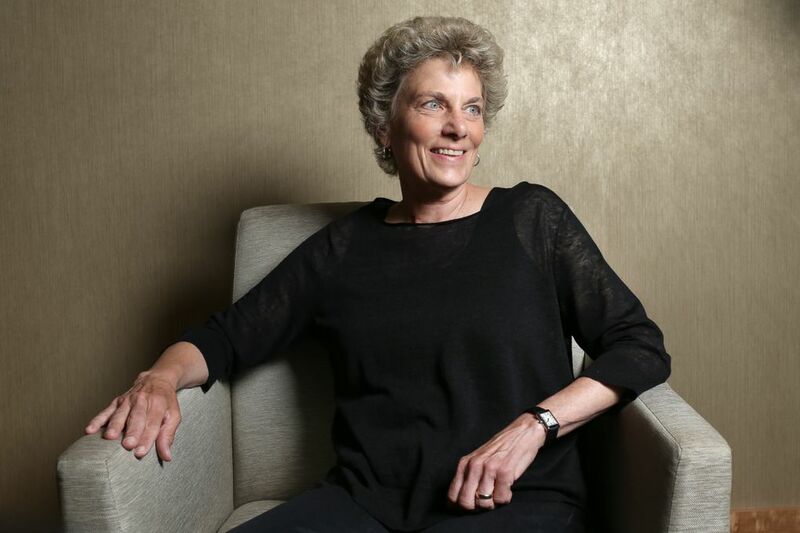 Corvi, who graduated from the UW with a history degree in 1973, said she joined Boeing hesitantly as it came off a massive round of layoffs in the early ’70s. Jim Albaugh, 66, said he’s worked on lots of “fun, fascinating and hard things” at Boeing. Sometimes a little swagger was called for. When he headed the defense division, the Navy was skeptical of Boeing’s proposal to use the 737 commercial airliner as the platform for the new P-8 submarine hunter. The plane was supposed to replace a four-engine turboprop, but Navy pilots worried about one of the 737’s two engines shutting down on a low sweep over the ocean. So in 2003, Boeing loaded up a 737 with Navy officers and pilots for a demo. The Commercial Airplanes test pilot took the plane down and skimmed along just 200 feet above the water. Then to simulate a shutdown, he pulled one engine back to idle. As the plane banked and roared aloft up to 41,000 feet on the remaining engine, “that maneuver really sold that program to the Navy,” Albaugh said. He recalled Boeing’s prime role in building the air power that was decisive in World War II, in helping men reach the moon and in shrinking the Earth with its commercial airplanes. And although two commercial jetliners crashed last year due to deliberate acts, Albaugh noted there wasn’t a single fatality anywhere in the world from a jetliner accident. “Our job is one we have to do perfectly,” he said. 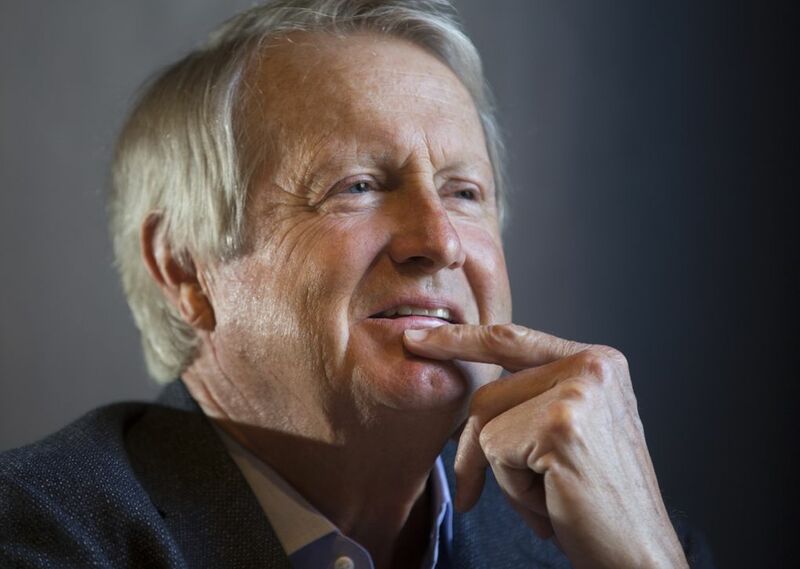 Raised in Richland, Wash., Albaugh joined Boeing in 1996 when it acquired Rockwell’s aerospace and defense business, where he had worked as an engineer since 1975. In Seattle at the end of his career, Albaugh became a champion of the Puget Sound-area workforce, publicly praising the machinists as “magicians” and lauding the prowess of the local engineers. In 2011, he closed a landmark deal with the Machinists union that secured the 737 MAX for Renton, a contract seen as a victory by all sides. That amity fell apart later, after Albaugh retired. In the 2013 contract that won the 777X for Everett, Boeing shoved the Machinists against the wall. Afterward, it transferred thousands of engineering jobs out of state. Yet Albaugh said he still sees the Puget Sound region as Boeing’s “center of gravity” for the foreseeable future. “There’s a small cadre of engineers who really understand how to develop a new airplane and how the systems work together,” Albaugh said. “It takes decades to develop that capability. The expertise is handed down through generations of doing new airplane programs. “That resides here,” he said.